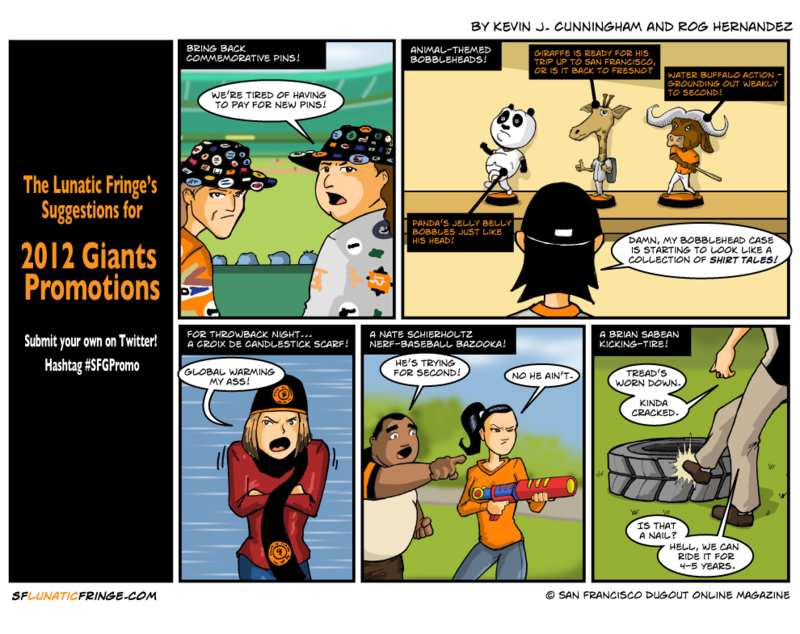 Late last week, the Giants asked for suggestions for 2012 promotions. We couldn’t resist but make our own suggestions. Seriously, I was a little disappointed at the Fedora this year. Great idea, but did they have to make them only big enough for those with pint-sized heads? And the belt buckle? Is there anyone in the Bay Area who knows how to put those things on their belts? Because…well, I don’t. If you like these suggestions, please retweet our link to this strip! On a related note, it disappointed me that there was not a single image of a Croix-de-Candlestick knit cap on the web. At least, not according to Google, Bing or Yahoo. So, here is one more little contribution to the internet from me. This is a Croix-De-Candlestick Knit Cap. Got that Google? Bing? I can’t believe y’all were missing this. You can still submit your own suggestions on Twitter! 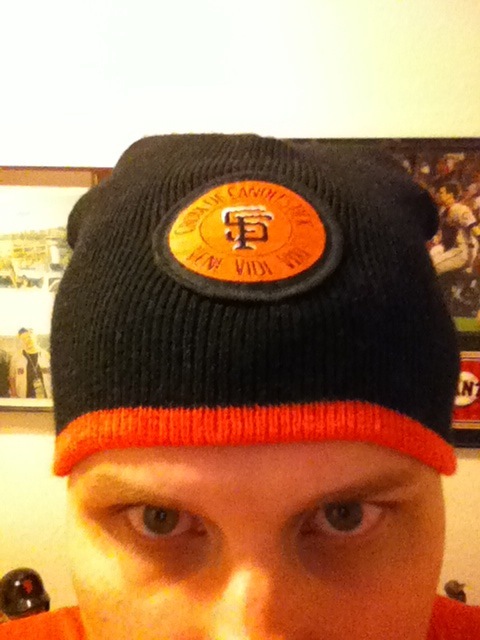 Just use the hashtag #SFGPromo to @SFGiants.